Shoot 'em up series gets first new release in four years. Chara-Ani and Pyramid have announced shoot ’em up Dariusburst: Chronicle Saviours for PlayStation 4, PS Vita, and PC. It will be released as a download title in Japan in winter 2015, with the PS Vita version getting a retail version including an art book and arrange album at Ebten and CharaAni.com. 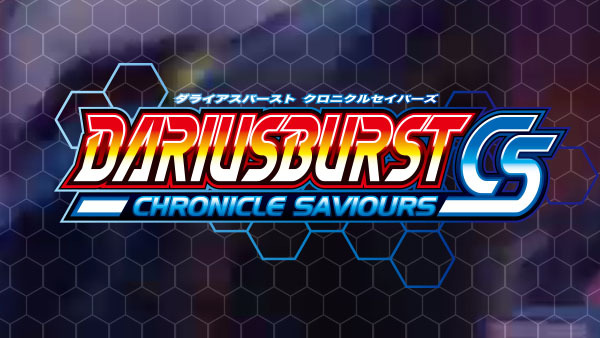 A complete port of the arcade games Dariusburst: Another Chronicle EX, Dariusburst: Chronicles Saviors will offer new modes, new bosses, and new background music. The PlayStation 4 version supports multiplayer with up to four people, while the PS Vita version supports single-player and the PC version is still to be determined. Watch the teaser trailer below. View the first set of screenshots at the gallery. Visit the game’s official website here.